Don Hedger had lived for four years on the top floor of an old house on the south side of Washington Square, New York, and nobody had ever disturbed him. But early one May, the vivacious singer Eden Brower moves in. 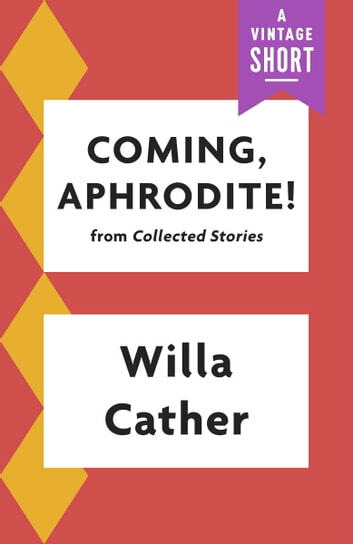 “Coming, Aphrodite!” is a Willa Cather masterpiece, possessing all the qualities that bubble just beneath the surface of Cather’s work, deceptively tranquil on top but as exciting, ambitious, and boisterous as the American continent she so well represented below. 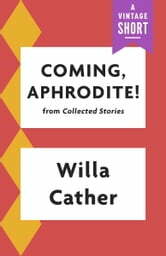 Including Coney Island ballooning scenes, ancient Aztec tales, melancholy artists and prairie girls navigating the big city, Cather weaves an astonishing narrative of lost love and dashed opportunities. From the Collected Stories, spanningthe length of her triumphant career.